A lot of people are unsure and ask me do parrots make good pets? As far as I am concerned, parrots make wonderful pets. You do however need patience with them at first while you train them and get them used to your family. Why Do Parrots Make Good Pets? Parrots make good pets because parrots are extremely clever and this makes them fun to train and play with. Keep in mind that any animal that shows signs of high intelligence can easily get bored, so your job is to train your pet parrot and spend the time it takes to make your parrot into a wonderful pet. It takes patience and time to train a parrot, but with the proper training, your parrot will provide you with many years of fun, laughter and friendship. Until your parrot is properly trained, you will need to watch them around your children. Children will need to learn to handle the bird with care and respect, so they can build a trusting relationship with the bird. So do parrots make good pets – of course, but only with the correct training and supervision. Training a parrot takes a lot of time and patience, so make sure that you have the time to spend with your bird before you buy him. You must love your bird and give some dedication to make this partnership worthwhile. With patient training and love, you end up with a fantastic and well-behaved pet that will be with you for a very long time to come. They can live 60 plus years. When you first bring your parrot home, it is always best to remove your parrot from his or her cage and train in a small quiet space. Your parrot is more likely to remain attentive and retain information when it is in a new environment. The next thing you will want to do, eliminate all distractions in your home. If your parrot becomes distracted during training, it will not learn well. That means that you need to turn off the radio, television and perhaps even the telephone. Also, remember that parrots are a lot like children. They have short attention spans, so short training sessions are recommended. Try to plan your parrot’s training time around their schedule, not yours. After mealtime is always, a good time for training because your parrot will be content and will pay better attention. Your parrot will also appreciate plenty of praise. Even if you find that you were not very successful, do not let your parrot see your stress levels rise. This will make your bird stressed and he will start to hate his training sessions. If trying to teach your parrot a trick, he will respond well to treats and praise. Remember that all animals respond better to praise than punishment. Avoid punishing your parrot, even if he or she is naughty. Ignoring this behavior is your best bet when training your pet parrot. Parrots do not understand punishment or negative reinforcement. In fact, if you respond to your parrot’s bad behavior, your pet may actually see this as positive attention. Keep in mind that while your parrot will love food treats as rewards, try to accentuate the positive and encourage good behavior with lots of praise and play time. Otherwise, your parrot may only perform the tricks you want them to when some kind of food reward is available. Repetition is the key to successfully training your pet parrot. Repeating these basic steps repeatedly until your pet gets the trick is the best way to train your parrot to perform. This works well for basic commands and advanced tricks. If you have just gotten your pet parrot, start out with very simple tricks, such as teaching your parrot to sit on your finger on command. Find a word for each trick and use it every time you train. Most of all, never force your parrot to train. If you find your parrot is tired or uninterested, then stop and try again another time. As your parrot learns more, you can begin moving your training session closer and closer to its cage. As parrots get better at their new skill, they will feel comfortable performing in his or her cage. Birds learn quickly in most cases, and sometimes just by listening when not in training, which may cause embarrassment to you if they learn something inappropriate. So watch what you say. 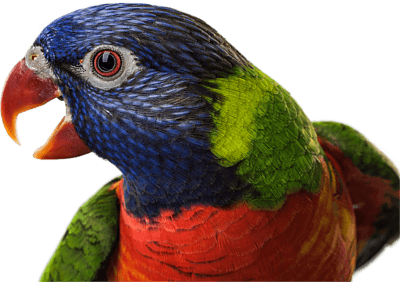 If you need more help in training your parrot, visit this page. What Parrot Makes The Best Pet? The type of parrot you choose is dependant on what you are looking for in a bird. Do you want one that does tricks, talks or one that you can just tame for your family to enjoy? If you want a good talker, an African Grey is a good choice, but beware if you don’t like noise, as they can get very vocal. I have a bare-eyed cockatoo, and he doesn’t talk much and is mostly quiet, but is very affectionate and loves to play. An Amazon parrot tends to bond with one person and is aggressive a lot of the time to anybody else. An Amazon is one parrot I wouldn’t recommend for kids, but there are exceptions. 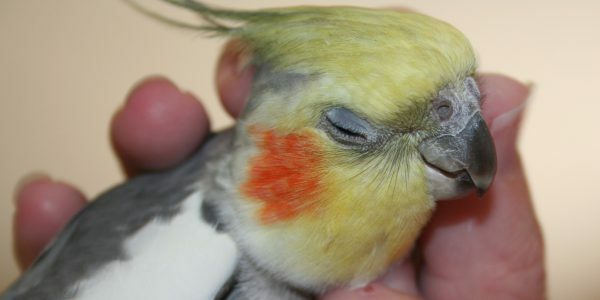 Cockatiels, although small, make excellent pets for the entire family. Eclectus parrots also make wonderful pets and you can read all about them here. Speak to the shop that you purchase your bird from and discuss the pros and cons of the bird you are interested in before you make the purchase. So I hope all this has helped you answer your original question of do parrots make good pets or not? 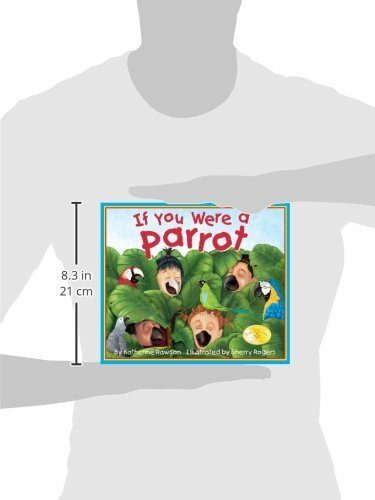 Here are some books to help you learn more about your parrot of choice. The first one is a fun one for the kids. Get If You Were A Parrot at the best price available today. Get African Grey Parrot Handbook (Barron’s Pet Handbooks) at the best price available today.